Brooklyn Heights Dental (Brooklyn) - Book Appointment Online! Through a lifetime of smiles, your teeth have been there for you. At Brooklyn Heights Dental™, we want to give you a good reason to keep flashing that smile for years to come. That is why we offer a comprehensive range of dental services designed to improve and maintain excellent oral health, including advanced restorative, general, implant and cosmetic dentistry treatments. Serving Brooklyn Heights, Fort Greene, Carroll Gardens, Cobble Hill, Crown Heights, and surrounding communities, Dr. Stanislaus and his team of dental professionals have invested their careers in improving the oral health of their patients and helping them achieve the vibrant, strikingly white smiles they desire. 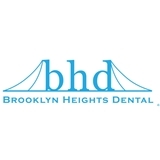 As a patient of Brooklyn Heights Dental™, you can expect to receive care of the highest standard and to be treated with courtesy, respect, kindness, and absolute professionalism. After all, we also want to be there for you through a lifetime of smiles. This was a great experience and that means a lot coming from someone who dreads going to the dentist. The front desk staff & his hygienist were very patient & friendly. They made me feel welcome & answered all of my questions. I have very sensitive teeth & gums and the hygienist was able to put me at ease. Dr. Stanislaus came, listened to my concerns, and was also able to explain what follow-up procedures I need without any pressure. I didn’t feel rushed but more importantly, was also to come in during lunch and make it back to work. You will not regret it if you choose Dr. Stanislaus!